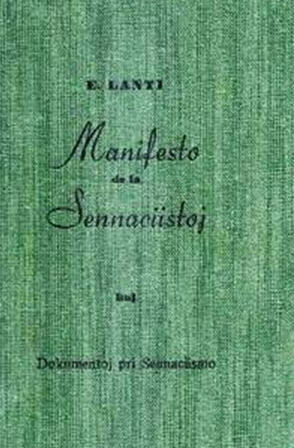 The original version of this work (Manifesto de la Sennaciistoj) was published anonymously in Esperanto in 1931. The first English edition was published by B. Roberts for the Anationalist Faction of S.A.T., Whitefield-Manchester (Lancs), England, 1937. This document is incomplete. It contains only the first sections of the Manifesto. For ten years, now, the spirit of non-nationalism has been abroad in the ranks of the Workers’ Esperanto movement. Throughout the world, thousands of workers are using the same language, either in groups among themselves, or for their correspondence with comrades in far distant lands. This fact has begotten the idea of the possibility of the working class organising itself in an original manner and of considering new methods in the struggle between the classes. So far non-nationalism has often been discussed in the organs of the Workers’ Esperanto Association, Sennacieca Asocio Tutmonda, and there was never any very considerable opposition to this new idea. But it was to be expected that some day orthodox internationalists would oppose such heresy. And as a matter of fact for some time already a vast agitation has been methodically undertaken in order to resist the new theory. Consequently, comrades who are sympathetic towards the idea, but have not a very clear conception of it, may waver. Many, without sufficient consideration, have even identified non-nationalism with a “working-class internationalism.” It is, therefore, absolutely necessary to put forward our point of view clearly and to defend it against the attacks of orthodox internationalists. This has become all the more necessary because if we do not, vigorously oppose our arguments to the sophisms and clichés spread abroad by internationalists, the latter, in the confusion, will succeed in persuading Esperantists that they represent the only evolutionary tendency. Yet, it is easy to show that their internationalism is only a species of opportunism admissible for party leaders who ignore the language problem, but unpardonable among worker Esperantists. We feel certain, that the practical application of Esperanto for several years on the part of class conscious workers must inevitably lead them, first, to the beginnings of a non nationalist state of mind, and later, to a clear presentation of problems from a non nationalist point of view. We have no doubt that many comrades will find in the following pages the explanation and the confirmation of what they have more or less vaguely felt and thought for a considerable time. They will no doubt agree with us that a real revolutionary must be capable of thinking ahead. Otherwise he is only narrowly conservative. Worker Esperantists must therefore draw all the logical conclusions which would follow from the general application of an artificial universal language. We are well aware that our point of view is at present Utopian, since up to the present, Esperanto has not very widely spread. But in the eyes of many who will regard non nationalism as something fantastic, a universal language is also considered Utopian. And yet we Esperantists know, from our own experience, that it is an object capable of realisation, that it is even now a fact, a living fact. We therefore advance fearlessly with our Manifesto into the ideological arena. In a famous Manifesto which appeared 83 years ago the workers of all countries were called upon to unite. With that object in view, several Internationals have already been set up, whose leaders have more or less frequent relations with one another either by correspondence or during congresses; most often through the medium of translators and interpreters. Generally speaking, however, the rank and file, in actual fact, still remain completely separated in national territories, and have no contact whatever with one another except on the battlefields during terrible wars. Within these national confines the minds of men are so worked upon by the school, the press, and all the other resources of the State, that with the passing of several generations these nationals form, mentally, a real race. It is true that, according to the admission of the specialists themselves, real races, in the biological sense of the word, have not existed, in the so-called civilised countries for several centuries. According to Frederick Lefevre, one finds, for example, in the short-headed inhabitants of France, descended from ancient stocks, evidence of Mongolian race. And Professor Johann Brunhes has proved that the present day Jews of Bessarabia, of the Ukraine and of Poland are to a great extent Slavs and Tatars, who, a thousand years ago, were converted to Judaism by the political and military influence of the Chazars. Further, these latter were themselves Tatars who had become Jews. The surprising result of this is that the Jews of today in Cracow and Warsaw look more Jewish than those of Jerusalem! But philosophers and psychologists can rightly speak of “historic races” and of the “souls of peoples.” Such “races” and such “souls,” are artificial. They do not constitute anything essentially incapable of variation, of modification. They have, as it were, been kneaded by history. Yet there are people, even among those who call themselves revolutionaries, who consider, that the actuality, which is called a nation, is something quite natural, sacred, and worthy of preservation. Such a point of view is essentially reactionary. Among these men one of the most eminent was Jean Jaurès. In his book The New Army there is a very brilliant vindication of patriotism or nationalism, and of internationalism. Commenting on the famous phrase of Marx and Engels in the Communist Manifesto, that “the workers have no country,” he explained its real meaning with a wealth of argument, and showed that the authors of the Manifesto were also adherents of the policy which stands for the independence of nations and their right to self-determination. We agree entirely with Jaurès that in these words no condemnation of the existence of nations is to be found. Marx and Engels, therefore, did not help forward their disappearance, and took up a purely internationalist point of view. They were not, then, non nationalists. Jaurès further argued, that even in the capitalist system, the workers have a country. And that, too, is, in a sense, true. Within a national territory a member of the ruling classes and a worker are influenced in much the same way by the same resources of the state. Speaking the same language, through that powerful bond they feel themselves to belong to the same great family. People confined within national frontiers thus acquire a similarity of mind and character; they feel that there is some kind of kinship between them, especially at historic periods as, for example, during wars. It is in this way that such forms of mental sickness as that which we experienced in 1914 at the outbreak of the war, can come into being. Class combativeness was swept away and forgotten and for the first few months a kind of “holy alliance” prevailed between the classes. Patriotic enthusiasm easily overruled all other feelings, and paralysed the remnants of reason. “A little patriotism weakens internationalism, much patriotism strengthens it.” That very clearly means that internationalism in no way aims at the abolition of nationality in the world. Further, all congresses of the various Internationals have declared themselves for the independence of nations, for the autonomy of all countries. Internationalism, therefore, is only a system which aims at the setting up of a juridical organisation among the nations in order to avoid conflicts and wars, but which in no way pretends to abolish the national peculiarities constituted by languages, customs, tradition, and so forth. 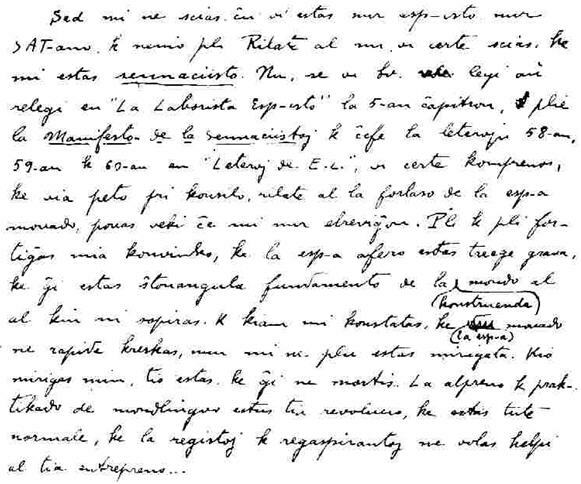 Internationalists, not all of them,  admit the possibility and the desirability of adopting an artificial auxiliary language, such as Esperanto. But they do not agree that national languages, national cultures, and other national sanctities should disappear, or, at least, become archaic, dead things, like the ancient Greek and Roman languages and cultures. 1. In a really national war, the words: “defence of the Fatherland” are not a deception and we in no way oppose them. Complete Works of Lenin, vol. xiii p. 342, of the French edition.